In this plant-happy world we live in, you can find me slathering cannabidiol or CBD on my muscles to relieve soreness, applying it to my skin to soothe inflammation, and dropping it into my daily water for stress relief. In fairness, I’m drinking the proverbial Kool-Aid, but until recently I didn’t recognize the difference between hemp oil vs CBD oil, and as it happens, there’s a big one. 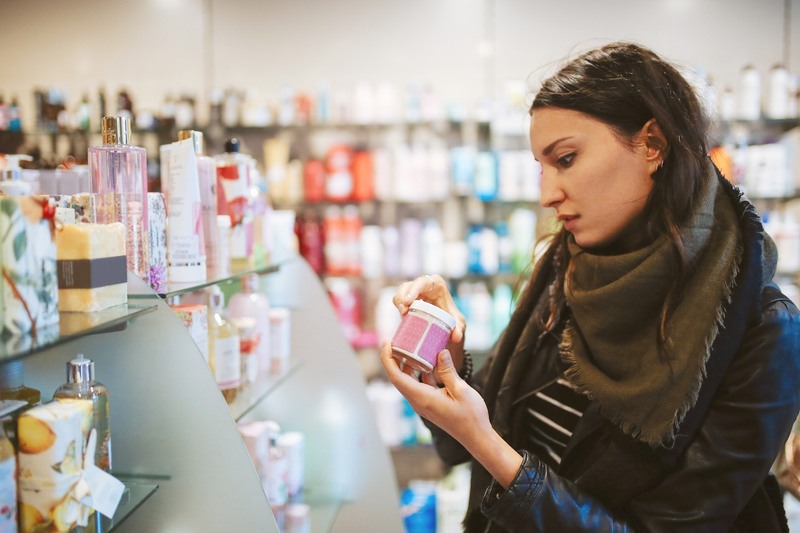 These days, the green-washing on CBD products can be hard to navigate, and the vocab one needs to navigate the CBD-lined shelves is extensive to say the least. Brands want to get in on the much-praised benefits, after all—but the issue here is that the terms being marketed under the “cannabis” umbrella aren’t all the same thing. Truth be told, oftentimes, you’ll see the cannabis plant touted on a label, but the specific ingredient being used isn’t so crystal clear. And there are any number of ingredients that can come from the cannabis or hemp plants from hemp oil to CBD oil to cannabis sativa seed oil, each of which have their own unique benefits, despite often being used interchangeably. To clear up the confusion, I sought out advice from the pros. CBD is a term signifying a component of the cannabis plant that comes with the much-talked about anti-inflammatory benefits, and you’re seeing it on everything from skin-care products to high-vibe tinctures. It’s extracted from the leaves, flowers, and stalks of the cannabis plant. “Cannabidiol—known as CBD—is one of over a hundred active compounds or cannabinoids found exclusively in the cannabis plant,” says Cindy Capobianco, co-founder of Lord Jones. “CBD acts as an analgesic and anti-inflammatory, which reduces pain and inflammation. It’s been used for centuries to successfully provide pain relief to muscle aches, arthritis, joint pain, neuropathic conditions, headaches, and to aid skin conditions like eczema, psoriasis, rosacea, even sunburn, and bug bites when used topically.” Phew. When ingested, Capobianco notes that the anti-inflammatory powers remain, and it “provides relief from anxiety and promotes a calm sense of well-being,” she says. The cannabinoid itself is a potent, highly anti-inflammatory antioxidant. “It’s been shown in multiple studies to reduce lipid product from the sebaceous glands—and the overproduction of this sebum is what leads to acne,” says Ashley Lewis, co-founder of Fleur Marché, a new online CBD retail destination. You’ll see it on product labels as the following terms: CBD, hemp CBD, and phytocannabinoid-rich hemp oil. Hence the obvious confusion. So this means it has absolutely no cannabinoids in it—not CBD, THC, or CBN, says Lewis. “It’s generally viewed as a superfood and is great for adding nutritional value to your diet,” she says. “In terms of skin care, it’s known as a powerful moisturizer and skin softener that doesn’t clog pores or contribute to oily skin—it has a comedogenic rating of zero.” It shows up on the product label as hemp seed oil, cannabis sativa (hemp) seed oil, virgin hemp oil, and hemp oil. To make sure you’re not falling into any marketing traps, it’s key to check the product label. “If you’re looking for the unique benefits of CBD, make sure you’re purchasing a product that clearly states it contains it,” says Capobianco. “Read labels, ask questions, and know what you’re buying.” That savviness will help the wellness industry continue to reap—and normalize—the plant’s benefits, which is a win-win for all. On a similar note, this is what happened when I swapped out my beauty routine for all CBD skin-care products. And this is the low-down on CBN, the other cannabinoid you should know about.